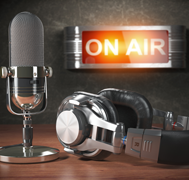 There’s a new way to stay connected to Prudent Financial – the radio! We have three spots playing on 680 News, Toronto’s all-news radio. If you’re a regular listener, you may have already heard us on the air talking about our home equity loan services, bad credit car loans in Toronto, and what exactly makes Prudent Financial different. If you haven’t had the chance to tune in yet, no problem! Listen for yourself here. We’d love to be your Toronto and GTA lender of choice. We offer personal loans, car loans and home loans to people with bankruptcies, proposals and bad credit histories across Toronto and the GTA since 1984. We also give secured loans to self employed. All you need to qualify is a car or home or comparable item with equity. Get all the details or contact us for a free consultation at www.prudentfinancial.net.